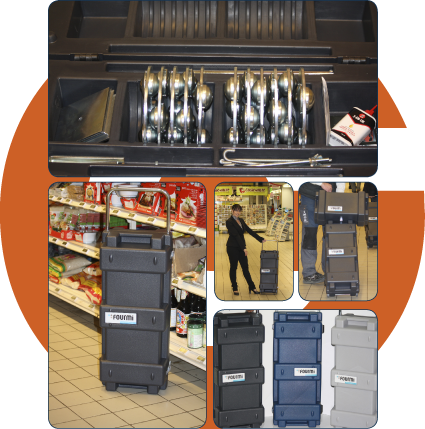 The new case is still available for 6 or 12 FOURMI® and has compartments for storing FOURMI® accessories and even your own tools. What’s more? The case for 12 FOURMI® is fitted with 2 sturdy wheels and a telescopic handle; carrying your FOURMI® has never been so easy! Those new cases are also available to purchase empty. So if you need to replace your old case, contact us now for a quotation.